Heavy duty steel square tubular design. 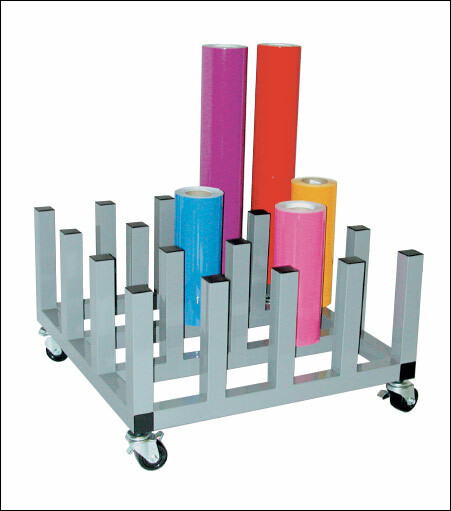 Holds 20 rolls of material with 3" cores up to 60" length. All welded construction with powder coated finish. Movable with 4 extra strong nylon casters.